In attendance at the celebration were Ducati CEO Claudio Domenicali, Ducati North America CEO Jason Chinnock and Ducati MotoGP team rider Jorge Lorenzo. 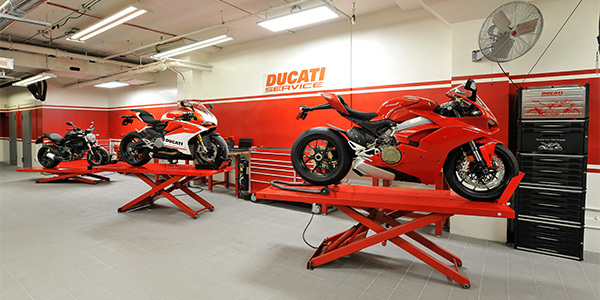 A new Ducati dealership, with a renovated showroom of more than 7,500 square feet, strategically located at 155 6th Avenue in SoHo New York opened its doors on April 19. 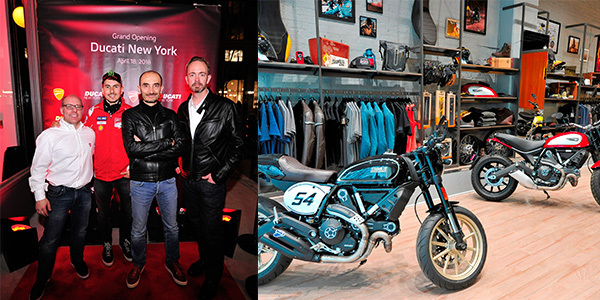 Ducati held a celebration to mark the grand opening of the company’s newest exclusive dealership, Ducati New York. With more than 780 dealerships in 90 countries around the world, Ducati has been on the march to extend its global reach to new levels. Ducati New York promises to be a global beacon for the brand among a growing number of retail outlets the Italy-based manufacturer has recently established. 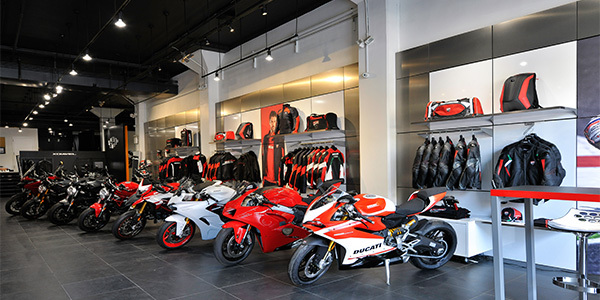 The Manhattan showroom is redesigned to accommodate new models in an environment matching the Italian style and modern aesthetic of Ducati, with a comprehensive apparel display, accessories showroom, customer lounge and service department.